Depart Iceland’s coastal capital and set sail on this Greenlandic adventure. Join the Silver Cloud Expedition and follow the route of the Norse in their explorations of Greenland. Heading first to East Greenland, experience the beauty of deep fjords and crystal clear glaciers. In South and West Greenland, see the remains of Norse settlements and visit small towns and villages to encounter a fascinating mix of local and Danish culture. Visiting Ilulissat’s Icefjord (a UNESCO World Heritage Site) will illustrate the tremendous forces of nature that influence the life of the Greenlanders. 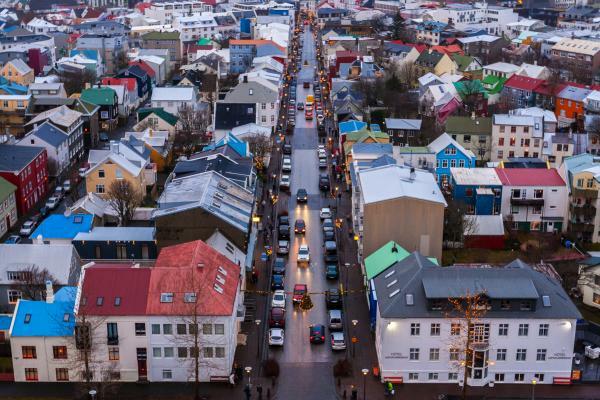 Sprawling Reykjavík, the nation's nerve center, and government seat is home to half the island's population. On a bay overlooked by proud Mt. Esja (pronounced eh-shyuh), with its ever-changing hues, Reykjavík presents a colorful sight, its concrete houses painted in light colors and topped by vibrant red, blue, and green roofs. In contrast to the almost treeless countryside, Reykjavík has many tall, native birches, rowans, and willows, as well as imported aspen, pines, and spruces. While you're at sea, enjoy wine tastings, designer boutiques, language and dance classes. Take in a matinee movie, check the market or your e-mail in the Internet Point, slip away with a novel from the library to a sunny chaise or with a movie to your suite. Or just take in the sun poolside. The choice is yours. Located on Greenland’s relatively rarely visited, rugged east coast, Skoldungen Fjord has enchanting scenery with towering mountains tipped with snow, ice-scraped valley sides and sculptured icebergs in shades of white and blue. At the top of the fjord one can easily see the retreating state of the Thrym Glacier. 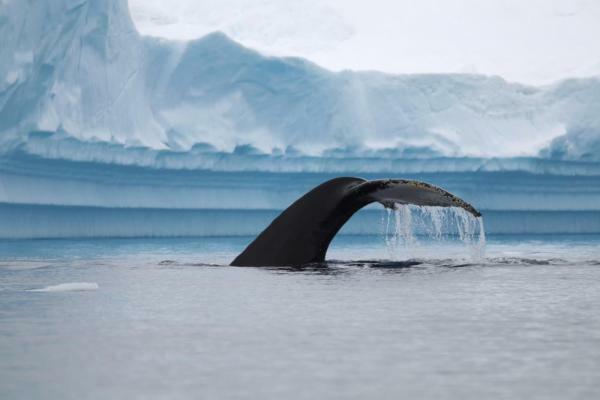 The U-shaped fjord offers spectacular scenery and as an extra perk, it is not uncommon to see whales in the fjord. Connecting the Denmark Strait with the Davis Strait, Prins Christian Sund offers a protected course from southeastern to southwestern Greenland and is one of South Greenland’s most dramatic natural features. The water is generally placid and the crisp scent of ice fills the air. On either side of the Sund, waterfalls stream down sharp, wrinkled mountainsides. Depending on weather conditions, icebergs that glitter in the sun may be constant companions during the passage. Aapilattoq is a small settlement near the western end of Prins Christian Sund in southwestern Greenland. In the local Greenlandic language the name means, "sea anemone". 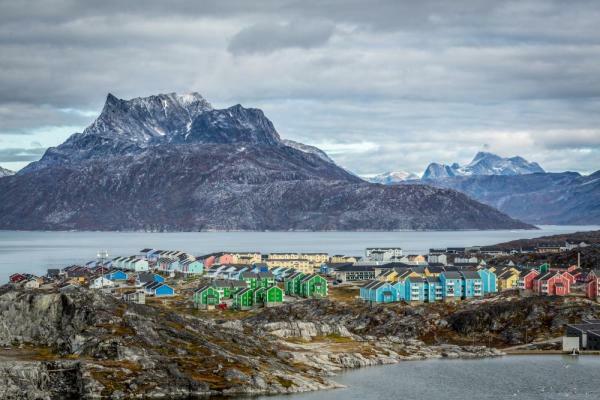 This small village of 130 inhabitants, hidden behind a prominent rock, offers a good insight into the life of Greenlandic Inuit. A stroll through the village will reveal a small school and a church, along with the likely possibility of seeing a polar bear skin drying in the wind behind a local dwelling. Northeast of Qaqortoq and at the end of a fjord, Hvalsey is one of the best examples of South Greenland’s many scattered ruins from the Norse period. Today the area is used for sheep-grazing, but until the 15th century the settlement at Hvalsey, and specifically Hvalsey’s church played an important part. Christianity had spread its influence throughout Europe and eventually had reached remote Greenland, where it established itself in the country in 1000 AD. Qassiarsuk is the newer, Greenlandic name for this small village. Brattahlid is the older, Norse name. Here you tour the foundation remains of the manor house of Erik the Red, who found Greenland after being banished from Iceland and Norway for murder. You will also visit the site of the first Christian church ever built in North America (physiographically speaking), see a recently unearthed Norse graveyard that contains remains of 144 Norse colonists, and have a chance to admire Hans Lynge’s remarkable bronze sculpture of Erik the Red. Nuuk, meaning “the cape”, was Greenland’s first town (1728). Started as a fort and later mission and trading post some 240 kilometers south of the Arctic Circle, it is the current capital. Almost 30% of Greenland’s population lives in the town. Not only does Nuuk have great natural beauty in its vicinity, but there are Inuit ruins, Hans Egede’s home, the parliament, and the Church of our Saviour as well. The Greenlandic National Museum has an outstanding collection of Greenlandic traditional dresses, as well as the famous Qilakitsoq mummies. Within roughly an hour of steaming south from Kangerlussuaq Fjord is Evighedsfjord Fjord. The fjords in this area can reach close to a kilometer (over half a mile) of depth and are lined with tidewater glaciers from the Maniitsoq ice sheet located high up in the interior of Greenland. Some of the cliffs along the fjords of this region can exceed 2,000 meters (6,600 ft.) in height. Known as the birthplace of icebergs, the Ilulissat Icefjord produces nearly 20 million tons of ice each day. In fact, the word Ilulissat means “icebergs” in the Kalaallisut language. The town of Ilulissat is known for its long periods of calm and settled weather, but the climate tends to be cold due to its proximity to the fjord. Approximately 4,500 people live in Ilulissat, the third-largest town in Greenland after Nuuk and Sisimiut. Located just north of the Arctic Circle, Sisimiut is the northernmost town in Greenland where the port remains free of ice in the winter. 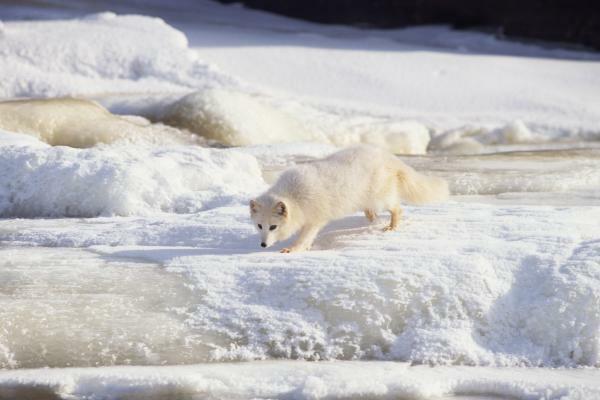 Yet it is also the southernmost town where there is enough snow and ice to drive a dogsled in winter and spring. In Sisimiut, traveling by sled has been the primary means of winter transportation for centuries. In fact, the area has been inhabited for approximately 4,500 years. Modern Sisimiut is the largest business center in the north of Greenland and is one of the fastest growing Greenlandic cities. 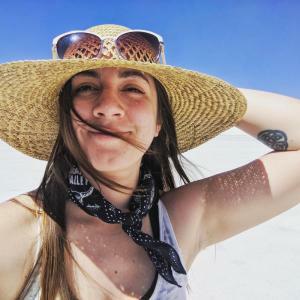 Today, disembark your ship and explore Kangerlussuaq. Kangerlussuaq, a settlement in western Greenland in the Qeqqata municipality located at the head of the fjord of the same name (Danish: Søndre Strømfjord). It is Greenland's main air transport hub and the site of Greenland's largest commercial airport. The airport dates from American settlement during and after World War II, when the site was known as Bluie West-8 and Sondrestrom Air Base. 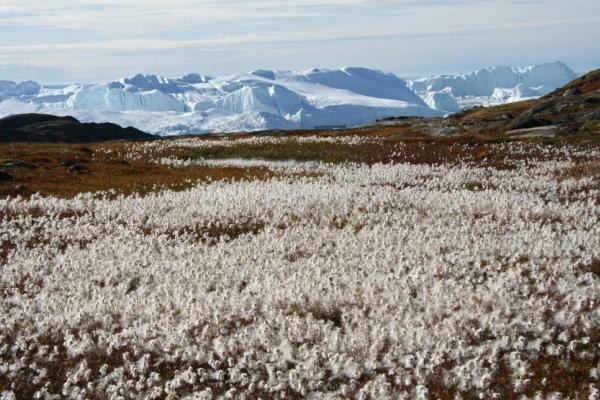 The Kangerlussuaq area is also home to Greenland's most diverse terrestrial fauna, including muskoxen, caribou, and gyrfalcons. 240 ft² / 22m². Decks 4 and 5. Twin beds or queen-sized bed, large picture window with panoramic views, sitting area, and marble bathroom with shower. 295 ft² / 27 m² including veranda (veranda 49 ft²/ 4.5 m²). Decks 6 and 7. Twin beds or queen-sized bed. Some suites accommodate three guests (Suites 505-510 and 605-610). Teak veranda with patio furniture and floor-to ceiling glass doors, sitting area, and marble bathroom with shower (some w/ tub/shower combination). 295 ft² / 27 m² including veranda (veranda 49 ft²/ 4.5 m²). Decks 5, 6, and 7. Twin beds or queen-sized bed. Some suites accommodate three guests. Teak veranda with patio furniture and floor-to ceiling glass doors, sitting area, and marble bathroom with shower (some w/ tub/shower combination). 437 ft² / 40.6 m² including veranda (veranda 81 ft² / 7.6 m²). Decks 5, 6, and 7. Twin beds or queen-sized bed. Medallion Suites accommodate three guests. Teak veranda with patio furniture and floor-to ceiling glass doors, living room with convertible sofa, sitting area, dining area, and marble bathroom with shower. 541 ft² / 50 m² including veranda (veranda 92 ft² / 8 m²). Deck 7. Twin beds or queen-sized bed. Silver Suites accommodate three guests. Teak veranda with patio furniture and floor-to ceiling glass doors, living room with convertible sofa, sitting area, dining area, and marble bathroom with shower. 736 ft² / 69m² including veranda (veranda 126 ft² / 12 m²) for one-bedroom. Two-bedroom adjoining with Veranda suite: 1,031 ft² / 96m² including veranda (veranda 175 ft² / 16.5 m²). Deck 6. Twin beds or queen-sized bed. Teak veranda with patio furniture and floor-to ceiling glass doors, living room with sitting area, dining area, and marble bathroom with tub & separate shower. 1,019 ft² / 95 m² including veranda (veranda 145 ft² / 14 m²) for one-bedroom. Two-bedroom adjoining with a Veranda Suite: 1,314 ft² / 122 m² including veranda (veranda 194 ft² / 18.5 m²). Deck 7. Twin beds or queen-sized bed. Two teak verandas with patio furniture and floor-to ceiling glass doors, living room with sitting area, dining area, and marble bathroom with tub & separate shower. One-Bedroom: 587 ft² / 55 m² including veranda (veranda: 89 ft² / 8 m²). Two-Bedroom with adjoining Vista Suite: 827 ft² / 77 m² incl. veranda (veranda: 89 ft² / 8 m²). Deck 7. Twin beds or queen-sized bed. Large teak veranda with floor-to ceiling glass doors, living room with sitting area, dining area, and marble bathroom with tub & separate shower. Please note: Fares are capacity controlled, and subject to change at any time without notice. All prices are in US dollars, cruise-only per person based on double occupancy. A limited number of suites are available for purchase upon request on a single- or third-guest occupancy basis. Any item or service of a personal nature such as casino gaming, laundry or valet services, purchases from the ship boutiques, childcare services aboard ship, massages, spa treatments, private fitness instruction, hair styling and manicures. Some champagne, premium wine and spirit selections, caviar, cigarettes and cigars are not included in your fare. Final payment is due 130 days prior to departure by Check, VISA, MasterCard, American Express, or Discover Card.